Dims: 86″ X 32.5″ X 35″. 2 Cylindrical Lumbar Pillows Included. The Alexis Sofa is a unique seating solution with the lines of a classic Chesterfield in a design updated for modern living rooms. Velvety upholstery gives this traditional design a touch of casual class, and the sofa comes with a pair of lumbar cushions for added comfort while you lounge in style. 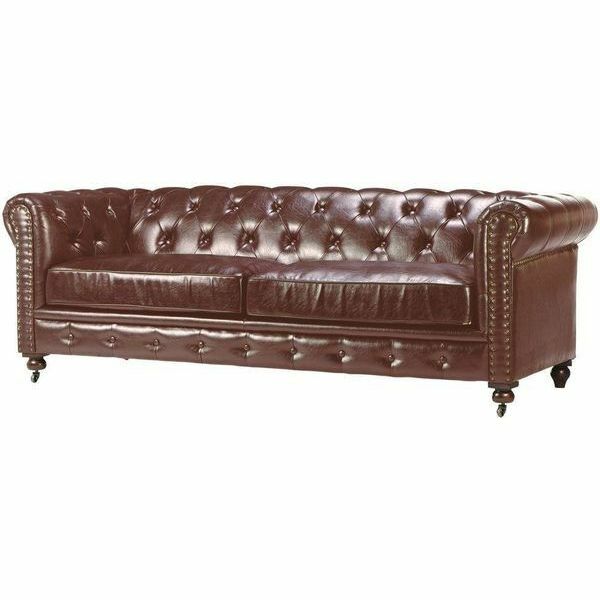 If you’re looking for a traditional Chesterfield sofa design with rich color and unparalleled quality, the Gordon Tufted Sofa is an ideal choice. 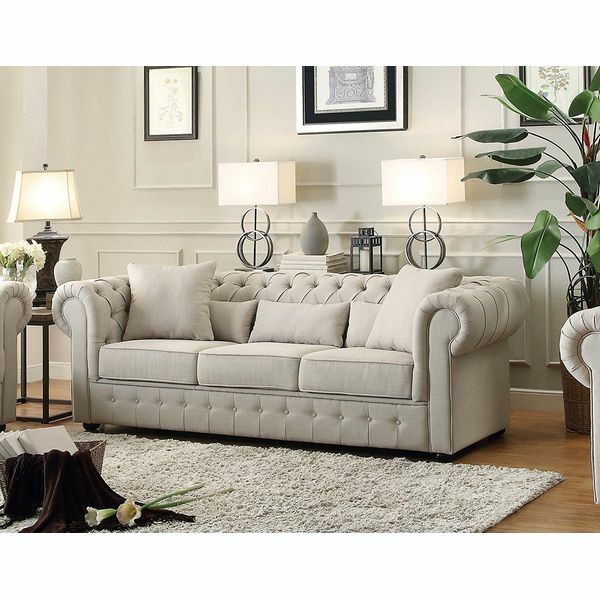 This handsome design features button tufting and sophisticated hand-applied nail head trim. Fluted legs add to the elegance of its silhouette, and the seat cushions feature both high density foam and coils for your comfort. With its matte black bonded leather upholstery, the Chesterfield Sofa adds a contemporary finishing touch to a seating area while still looking traditional. The sofa has a durable stainless steel frame with carved wooden legs made from premium timbers. The square seat cushions are amply padded with high quality foam. Add vintage appeal to your living space with this Grand Chesterfield Button Tufted Upholstered Fabric Rolled Arm Sofa. The sofa features a button-tufted back and base that works with the rolled sock arms to provide an old-fashioned look. Its neutral fabric fits easily into any existing decor. The Victoria Sofa is a formal Chesterfield sofa that will have your living room looking incredibly refined. Embellishments like a molded seat back and trim made from 1,000 carefully placed nails set this design apart from others on the market. 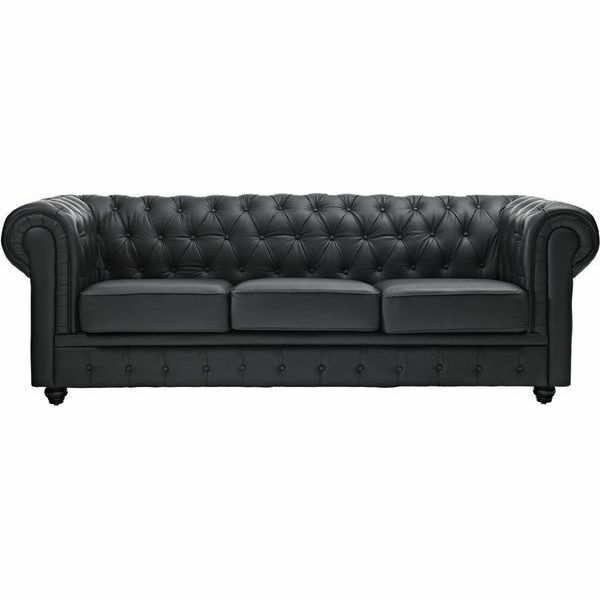 Genuine tri-tone leather and classic button tufting evoke the elements of the classic Chesterfield. The Aristocrat Sofa is meticulously designed to ensure that every detail is flawlessly executed and truly impeccable in terms of its style. 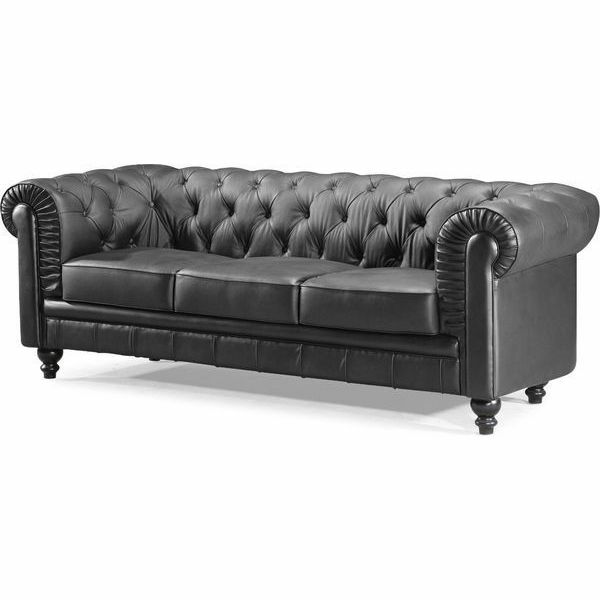 The low back Chesterfield features pleats on its rolled arms and on its base trim. 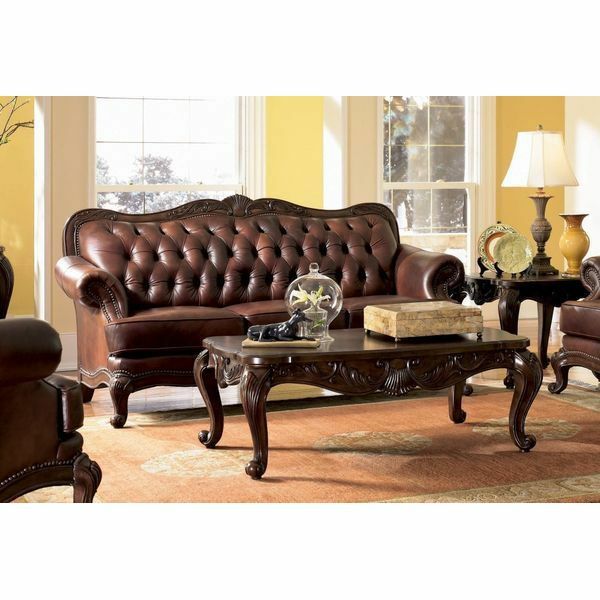 The back and sides are button tufted, and the wood legs have a handsome curved shape.